Save the date and plan on joining us for the 4th annual UIC-C4C Community Day Men’s Basketball game. Parking in the lots is $5 or you can easily walk or take the #60 bus. At this event we always try to honor someone who has stood out for their outstanding commitment for the betterment of our communities. This year’s honoree is University Commons resident Michelle Fennessy who has spearheaded the initiative to get the CITY VIADUCTS cleaned up and repaired. This is all for the safety, health and wellness of our neighborhoods. Michelle’s work has led to more awareness by City Hall and of this situation. Her http://www.chicagoviaduct.com petition has led to coverage by dnainfo, FOX NEWS, The Chicago Tribune and The Sun-Times. She has even heard from a representative from the Illinois State legislature on this issue. We applaud Michelle for what she has started and look forward to seeing positive changes. RECENT UPDATE ON THE VIADUCTS..Michelle tweeted THE Warren Buffett whose company is the majority stockholder in the BNSF Railway when she was not getting any help from the railway. Within 36 hours representatives from the railway had come all the way from Ft. Worth to look into this situation. As of this post work has already started in some of our neighborhood viaducts. GREAT GOING MICHELLE! Please plan on joining all of us at this wonderful event. A great way to spend a cold winter Chicago weekend with a lot of community folks, in a great local venue cheering on Michelle and the UIC Flames. 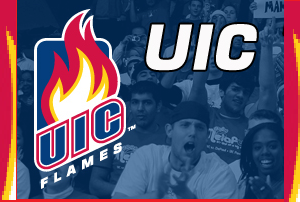 ← UIC-C4C Community Day basketball game coming up!